Dr. David Sachsman joins us to talk about the University of Tennessee at Chattanooga’s 26th annual Symposium on the 19th-Century Press, the Civil War and Free Expression. While the U.S. Civil War ended more than 150 years ago, present-day conflict continues around Confederate monuments that can generate controversy, provoke strong emotions and make headlines. From Charlottesville, Virginia to Chapel Hill, North Carolina and cities throughout the South, the value and purpose of Confederate monuments has been challenged, debated and defended—with widely publicized and sometimes deadly outcomes. Thirty-nine experts on the Civil War and Free Expression are coming to Chattanooga from across the country to talk about the media’s role in memorializing a chapter of U.S. history that segments of American society often view in starkly different terms. The conversations are happening at the University of Tennessee at Chattanooga’s 26th annual Symposium on the 19th-Century Press, the Civil War and Free Expression. 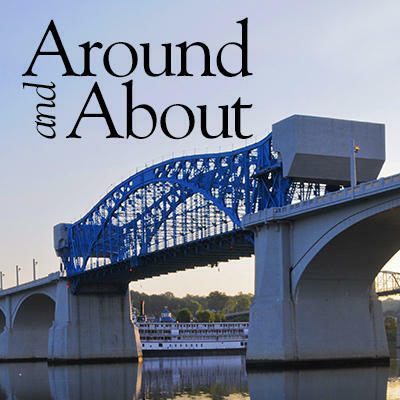 The opening presentation—on Thursday, Nov. 8 at 7:30 p.m. at the Chattanooga Marriott Downtown—will jointly feature scholar Debra van Tuyll and James Ogden, historian with Chickamauga & Chattanooga National Military Park Historian James Ogden. Van Tuyll is a professor of communication and expert on the history of journalism at the Augusta University department of communication in Georgia, and with Ogden will discuss the genesis of Confederate monuments during Reconstruction and the creation of monuments in national military parks. The conference begins Thursday afternoon at the Marriott and continues Friday and Saturday at the UTC University Center. Its purpose is to share current research and develop a series of monographs on the 19th-Century Press, the Civil War and the Press, and 19th-Century Concepts of Free Expression. “With all the controversy that now surrounds the issue of Confederate monuments in the South, I think everyone will be interested in learning when and why they were first created, said David B. Sachsman, director of the conference and holder of UTC’s West Chair of Excellence in Communication and Public Affairs. Participating prominent scholars include Donald Shaw, creator of the agenda-setting theory of the press; Brian Gabrial, author of The Press and Slavery in America, 1791-1859; Gregory A. Borchard and David W. Bulla, authors of Lincoln Mediated: The President and the Press through Nineteenth-Century Media; and Ford Risley, author of Abolition and the Press and Civil War Journalism. The symposium is sponsored by the West Chair of Excellence, the UTC Communication Department, the Walter and Leona Schmitt Family Foundation Research Fund, and the Hazel Dicken-Garcia Fund for the Symposium. This sponsorship makes all sessions free and open to the public.